I am passionate about holistic health. I am extremely passionate about eating whole, natural foods, living a balanced lifestyle, reducing stress as much as possible and connecting with nature. In my personal life I like to keep things as simple as possible. As ironic as it may seem or sound I am not someone that goes to appointments often. I am not the typical Vancouver women in that I don’t often book myself in for manicures, pedicures and often forget to get my hair done for ridiculous amounts of time. But one thing I never put off is feeling optimally healthy. 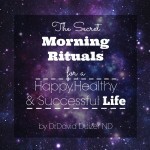 This means I stick to my morning routines, my meditation, my workouts and my DAMY eating habits without deviation. 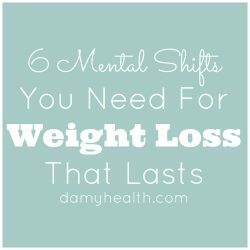 When I started DAMY Health I headed into my business like I do all things – all cylinders firing. 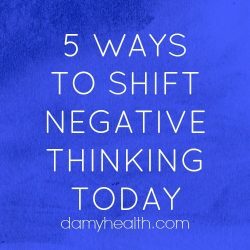 Coming from a stressful situation, a background of abusive eating habits, consuming stimulants, becoming the sole provider for my family and David going back to school to become a Naturopathic Doctor I hit a real low. 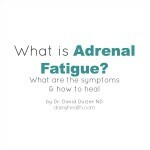 I experienced full on adrenal fatigue (Dr. Duizer will be doing a post on this next week). I had to learn how to become a patient. I had to listen to and follow a strict protocol that David provided for me. I am used to being in the drivers seat and I am not used to being told to slow down, sleep, take specific supplements, take time for myself, etc. This was a real transition for me but one I’m so grateful that I took. One of the tools David suggested that I use in my healing process was IV vitamin therapy. My experience with IV therapy has been great. I wanted to answer a few questions that I have been receiving since sharing a few photos of me getting a vitamin IV on Instagram and Facebook. 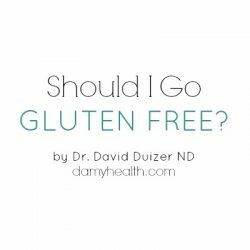 Below I am going to answer a few questions with my personal experience and then I am going to interview Dr. David Duizer so he can give us his professional opinion and break down of everything there is to know about vitamin IVs. Why did you get a vitamin IV? I decided to get vitamin IV therapy as I was recovering from adrenal fatigue and was experiencing a high level of stress. I personally felt that I wasn’t absorbing nutrients like I was used to. I felt tired and looked drained. Did you get a vitamin IV drip or a push? I received an IV drip which means the regular bag IV that you see everywhere. This is what I felt more comfortable with. What was the setting like? I experienced my IV in a clinic setting. I have had the experience of sitting in a reclining cozy chair, listening to relaxing music, reading a magazine, etc. I have also been offered to lie down on a medical bed as some people feel lightheaded when they receive a vitamin IV. I did forget to eat before my IV at one time and was given a sugar tablet. I strongly suggest going to a Naturopathic Doctor for your vitamin IV. It is a medical procedure and should be respected as such. What did you feel like while you were getting the vitamin IV? While the IV is being pushed in I look away and press on a pressure point on my wrist. This leaves me only feeling a slight pinch with a bit of a burn for a second. After that I don’t feel the injection point I just feel relaxed, cozy and tired. No more than any needle. What did you feel like after? I felt tired which surprised me. I, for some reason, had in my head that I would feel automatically energized and run out the door. Instead I felt drastically relaxed. What benefits did you receive from the vitamin IV? The next day I did feel more energized. I smelt like vitamins which was weird. My pee smelled like vitamins. lol. TMI. Sorry you asked. I did feel like my skin was glowing and I looked refreshed. I’m going to now pass this off to our resident ND Dr. David Duizer for his professional and much more educated overview of everything vitamin IV. 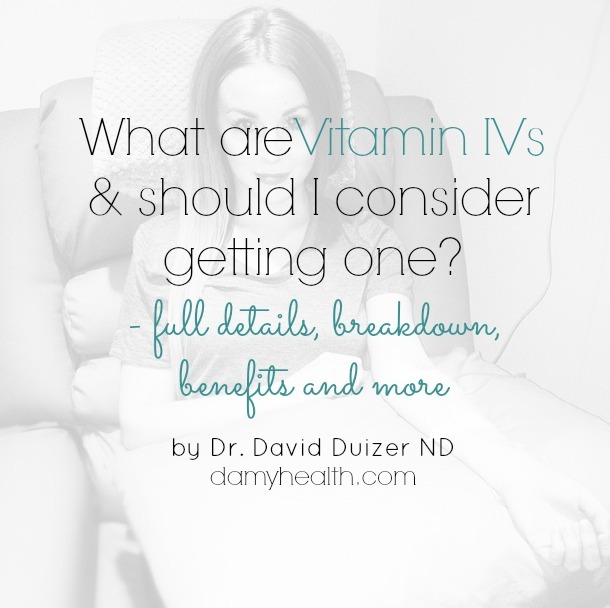 Ask Dr. David Duizer – What are Vitamin IVs and should I consider getting one? As a society we are not as vital as we once were. We are not able to get the same nutrients from our food that our ancestors did. Our food is different, our digestion is different and our eating habits have changed. GMO food is almost unavoidable in our culture. Organic food is dramatically more expensive than non-organic. Many are suffering from poor digestion resulting in poor absorption of nutrients. 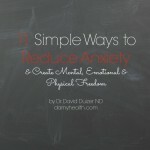 Many people are wired, stressed and stuck in ‘fight-or-flight’ 24/7. These combined concerns mean that our cells aren’t receiving the nutrients they deserve. This combination leads to chronic disease. This combination prevents us from living as our optimal selves. Each of these concerns can be overcome on its own. You can seek out non-GMO food, eat completely organic, heal your digestion and practice mindful eating. You can reduce your stress and in-turn experience better digestions. These are things we should all do. But what if we can’t? What if we need more nutrient value? This is where IV vitamins and minerals come into play. The concept of IV vitamins and minerals was made famous by a Medical Doctor named John Myers who used it to treat many different conditions including fatigue, depression, chest pain and palpitations. When he passed in 1984 many in the the medical community in the United States quickly adopted and adapted his protocol to suit their patients needs seeing similar benefits to what he documented. In the last 15 years many Naturopathic Doctors across North America have become strong proponents of the therapy. In naturopathic medicine one of our core values is promoting the body’s inherent ability to heal itself. Supplementing vitamins and minerals directly to the blood stream gives the body the absolute best chance to do so. What is in a Myers Cocktail? A Myers Cocktail (the original name for IV vitamin and minerals) usually consists of Magnesium, Calcium, B12, B5, B6, B Complex, Vitamin C and sterile water. Occasionally other nutrients are added depending on the reason for the IV or condition being treated. These include folic acid, selenium, sodium bicarbonate, zinc, etc. How and why are the specific nutrients selected? Below I have included an overview of the different contents of an IV vitamin and mineral infusion and a brief synopsis about why they are beneficial. The combination is chosen by the doctor administering the infusion and many clinics have different combinations pre-prepared to suit different conditions. Vitamin C – One of our most well-researched antioxidant water soluble vitamins. 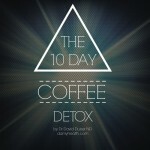 It has been shown to decrease stress, boost the immune system and help with collagen tissue repair. Magnesium – One of my favourite minerals and something many are deficient in. Magnesium has been shown to decrease blood pressure, reduce cardiac arrhythmias and ease muscle tension. B12 – A key vitamin for energy production in the body. 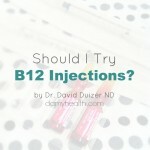 Additional B12 supplementation can help with stress, neurological support, anxiety and fatigue. An essential nutrient for all vegans. B5 – Another critical vitamin for energy production in our cells. B6 -A co-enzyme involved in most metabolic reactions and critical for proper steroid hormone function, nerve function, glucose metabolism, etc. B Complex – Includes the rest of the B vitamins such as niacin and folic acid which are critical to heart health and the prevention of chronic disease. Calcium – The most abundant mineral in the body, critical to bone and dental health. Why would someone get IV vitamins and minerals? There are many reasons to go for IV therapy. Many just go for the extra supplementation because of the positive benefits they see with energy, sleep, brain function, etc. Others go because they know that they are poorly absorbing nutrients. Their bowels move too fast, their skin is not as healthy as they would like and they suffer from fatigue. Specific conditions that benefit from IV therapy include asthma, migraines, fibromyalgia, depression, cardiovascular disease, upper respiratory tract infections, sinusitis, seasonal allergies and hyperthyroidism. What concerns is IV therapy good for? What benefits can you see from IV therapy? The benefits you can see from an IV are extensive including increased energy, a sense of calm, better sleep, reduced anxiety, lifted mood, quicker relief from infections, etc. What is the cost of IV therapy? The cost of IV vitamins and minerals can range from $60 – $150 depending on nutrients chosen, time the infusion takes (drip vs push) and clinic location. IV therapy can cause a sensation of heat throughout the body. This can mean that the infusion is too quick but for most patients it does not cause them to be uncomforatble and it doesn’t occur in everyone. For some an IV can cause a sense of relaxation and others can see an instant energy boost. 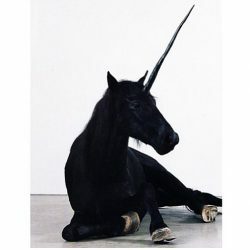 This is more of an indication of what you are in need of. During the initial puncture of the vein there is a mild pinch like you would receive from any IV or needle. IV therapy can take anywhere from 30 minutes to two hours depending on the infusion being used. In certain protocols for cancer and heavy metal chelation the time is in the upper range. Who should perform IV therapy? In British Columbia Naturopathic Doctors have to complete a separate certification in IV Therapy, Pharmaceutical Prescribing and Advanced Cardiac Life Support to be able to perform IV Therapy. Make sure to check that provincial or state requirements have been met by your doctor before going in for an IV. Who is IV Therapy not optimal for? IV therapy is not an optimal treatment for everyone. Your naturopathic physician will determine if IV therapy is suitable to you before beginning a treatment. In general those with mild-to-moderate renal insufficiency (Kidney disease), myasthenia gravis, myxedema, cerebral hemorrhage, thiamine allergy or who are currently taking digoxin should let their doctors know and discuss these factors before beginning a treatment. Specific nutrients like magnesium can lower blood pressure during an infusion. Your doctor will check your blood pressure before the IV to make sure it isn’t too low for the infusion. Is IV Vitamin and Mineral Therapy Something I Should Consider? I believe that everyone can benefit from IV therapy. Frequency of the therapy depends on the purpose of the therapy. For those receiving IVs for general health benefit can be achieved from one Myers per month. Specific condition treatments may require weekly or bi-weekly IVs. If you are looking to improve your overall health or are suffering from any of the conditions listed above I recommend IV therapy as a component of a well-rounded naturopathic treatment program that includes additional support for your clinical concern. Always eat a meal at least 3 hours before an IV as light-headedness and fainting can occur without doing so. To book for IV Therapy at the Finlandia Health Centre in Vancouver, British Columbia email drduizer (at) damyhealth.com or call 604.734.7760. Have you had a Vitamin and Mineral IV before? What was your experience?